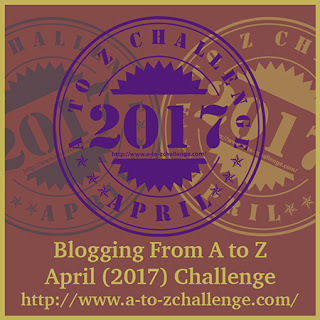 Prior to last years 2016 Blogging from A to Z April Challenge I already had a few themes considered for that year. But as plans often go, those old ideas got pushed to future years and I came up with my 2016 theme of Manhattan in January of that year. Then later, after the April Challenge had ended, not only did I still have those old ideas in my queue, I had come up with a couple more along the way during April. I've found that in blogging I'm often inspired by posts by other bloggers that will give me ideas for posts for my own. Which, incidentally, is a good thing for any of you to keep in mind if you sometimes find yourself lacking in inspiration for ideas to write about. During the course of the year that followed the 2016 Challenge, I wavered between this idea or that, all the while writing down particularly good ideas to be stored in my blogging queue. Come January of 2017 I was pretty well settled on an idea, but within a matter of weeks changed my mind. 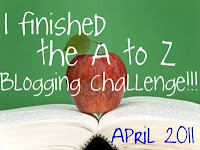 As the approach to each of my Aprils has been since first beginning to do the A to Z Challenge, my mind becomes focused on thematic concepts and the words that might alphabetically fit those themes. A to Z has become a way of conceptualization when I think in context of blogging or writing ideas. A bit of a fixation one might presume, but I'd prefer to see this thinking as inspiration with organization of thought. I guess I've developed a bit of an A to Z brain! My theme is a natural since it is something that we all think about and thereby to which we can all easily relate. It's About Time--my theme that is. I'm officially calling my April theme "It's About Time" which also is my own declaration of having come to that decision. So many themes from which to choose and this one comes to me will having lunch one day. You can read that story in my recent Battle of the Bands post, which I'd encourage you to read and vote on if you haven't done so already. Just think about all the times you yourself speculate or worry about time. Our lives revolve around time scheduling. We often keep an eye on our watches when something goes on longer than we'd like or revel how quickly time flew when we've been having a great time. Without time, especially in our often rapid-paced and highly scheduled society, our lives would be in near chaos. Communal activities would never get organized and we would continuously be late. Of course without time the concept of lateness would not particularly be relevant, but neither would the idea of being on schedule. Our world and each of our lives thrives according to time. We have days of births as well as all of the other special days of our lives. Why, heck, we have days period! Without the definition and management of time we wouldn't have days, weeks, months, or years. Aside from the essentials of existence like air to breathe, liquids to drink, and food to eat, time is one of the primary forces that gives us our humanity--our ability to reason and plan for our futures. Or for that matter remember our past in more than just random images. Time is a reality of this world and time is the measurement that helps up organize the realities we encounter in life. There's so much to write about the topic of time and it would take a lot of time to write about everything regarding time. I will barely touch upon all that time is, but in 26 days during April I'll try to cover a few thoughts that interest me most. Though time can serve us, time will always be our master. In April of 2017, "Time" will be the master of my A to Z Theme. 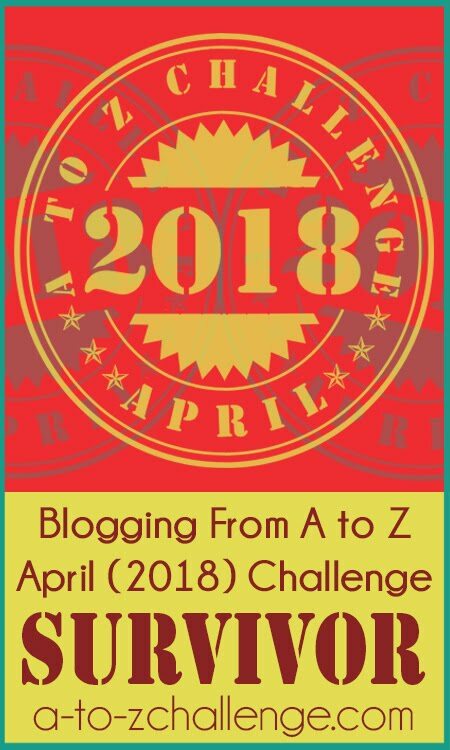 If you've decided to participate in the 2017 Blogging from A to Z April Challenge and would like to reveal your theme or, if you don't necessarily have a theme, you can tell us about your plans, goals, or impressions about April by putting up your own Theme Reveal post. 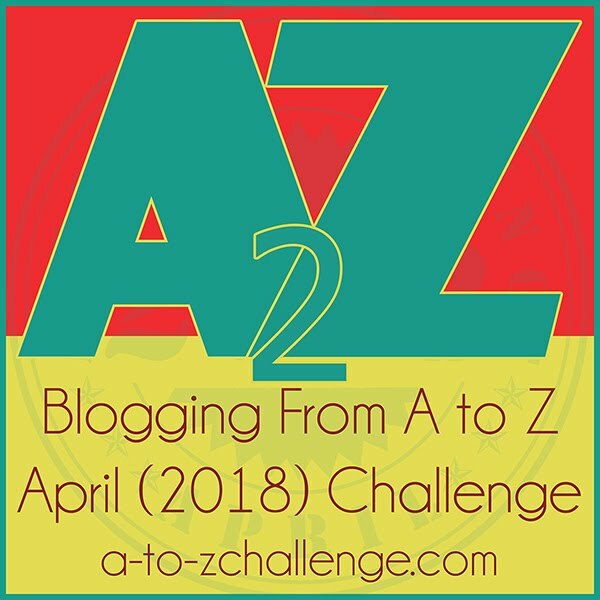 You can link to your post on Twitter using hashtag #atozchallenge, or you can post on the A to Z Facebook page, or leave your link in my comment section today, or visit the A to Z Blog to leave your link. Or you can do all of these things and whatever else you can think of to promote your post. Today will be essentially a test run for the social media linking we'll be doing in April and this will perhaps give us some idea of the success of the method as well was provide some indicators of strengths and weakness. Give it a try to see how it works for you. 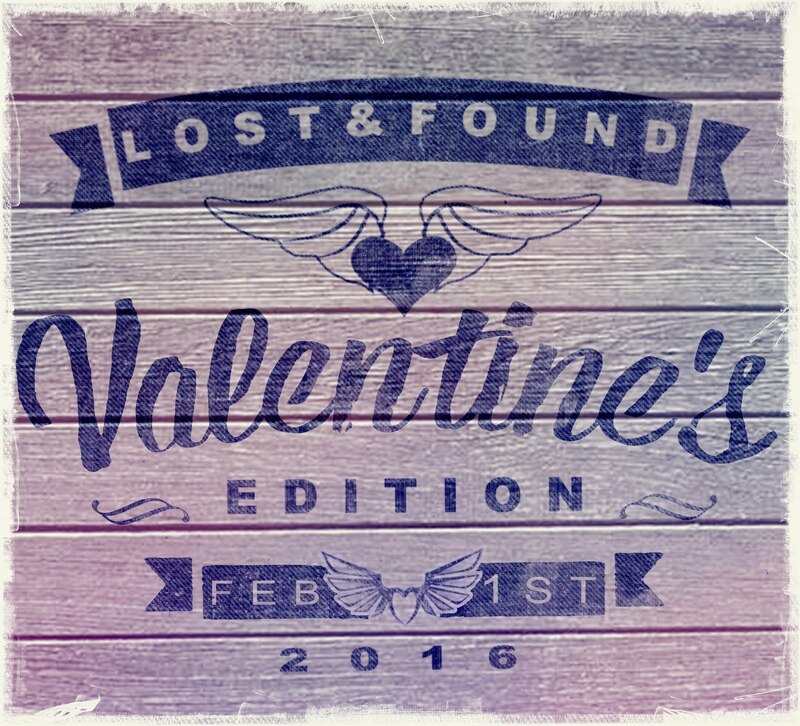 And check all the aforementioned sites to see who else is posting their own Theme Reveals. This can work, but it is up to you bloggers to make it work! Have you found any other Theme Reveals so far and if so how did you find them? What have been some favorite 2017 A to Z themes that you've found so far? Are there any particular aspects of "Time" that you think I should cover during April? Time - such a precious resource that just slips through our fingers without realising it. Looking forward to hearing your thoughts throughout April. Pam, always wish I had more time. At least I can write about it. Hilary, I think all the "mechanics" will fall into place once you dive in. Today's reveal is already demonstrating that this should work out pretty well. So true also about blogposts/themes evolving as a response to what we read around us. I had my (poetry- related) theme all ready for 2017 when I read about the list being scrapped and that change resulted in the current theme exploding into existence in my brain. Compelled to shelve the poetry and go with this one! Nilanjana, my April posts will lean more toward the philosophical than practical information like time management. First I'd have to learn to successfully figure out how to manage my own time! The great thing about changing ones mind regarding April themes is that it builds up a reserve of ideas for the future--just in case we run out which seems unlikely for me. Anyone need some idea suggestions? 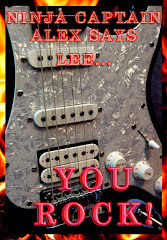 Lee, I should have seen this theme coming with your last BoTB but unfortunately I can't see what's going on in your mind even when you drop hints. This one couldn't have been anymore obvious had you dropped an anvil on my foot. *smack forehead* I have no suggestions to offer in regard to your theme but you certainly dangled an interest carrot. I don't believe I've ever thought about time the way you depicted it. You baited your post well, my friend, and I am definitely curious to read your A2Z posts! Thanks for hosting such great fun! My theme is Art Sketching Through the Alphabet on Curious as a Cathy! Cathy, I tend to telegraph my ideas for future posts in my daily posts--especially regarding BOTB and A to Z. Hints are usually far more obvious after an answer is revealed. Time measures all things and it would be difficult to function without it. It will be interesting to see how you pull together each letter. Alex, we probably wouldn't accomplish much if we didn't have time as a guideline. Looking forward to reading your posts. Enjoy the AtoZ ride, Arlee. You have a cracker of a theme. Natasha, I hope my cracker of a theme doesn't turn out too cheesy. Thank you for creating the AtoZ. It's my 1st time & going with the #AtoZofHealing (I know, it's inspired :) ) . Your theme is interesting - i am curious to see what you will write about, especially since its such a vast area. Ishieta, A to Z has opened so many doors and provided so many connections. Thank you for being a part of it. Debbie D, if I can't go back in time for real, then posts such as yours will have to be my substitute. A to Z has taken on a life of its own. That's an interesting theme! Looking forward to reading it. JoJo, time has fascinated me for--um--a long, long time. One of the things that age bestows upon us is the appreciation of time and what we've garnered along the way. Can't wait to read what you have to offer! Leanne, when we are young we often squander precious time--there seems to be so much of it for us to waste. Most of us don't realize until later that our time is just as much of an investment as money (which we also often waste more than we probably should). Medha, relating the words is the real challenge of A to Z. One thing I've recognized from the beginning of A to Z is that possibilities are limitless. Sounds like a challenging theme. Where can I find more of it? Tamara, more of what? More of my theme will be on my site come April. 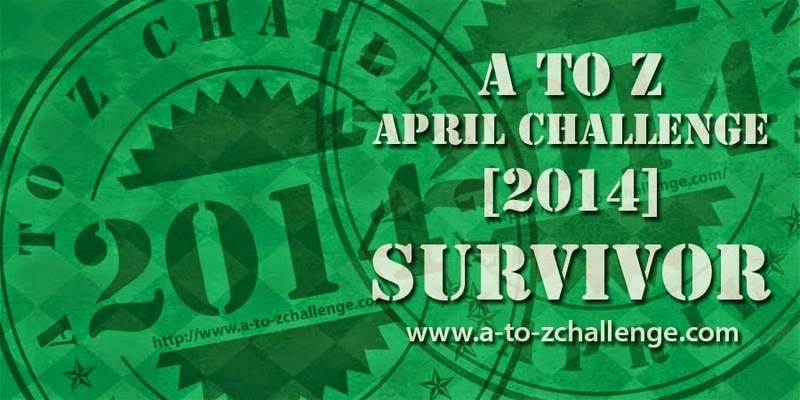 More of other bloggers' themes at a-to-zchallenge.com or the A to Z Facebook page as well as other places. Csenge, we should all have an interest in time. Time can be a friend as well as an adversary. Shalz, thanks for stopping in! I've never really given much thought to time before. But I've definitely experienced the effects of it in many of the ways you mentioned: seems to crawl, seems to speed by, running late, waiting, etc. I look forward to exploring it with you! Let's see, first I visited the AtoZers who had visited me, then I started down my reading list, going to AtoZ reveal posts. And I plan to explore at least five each day from the AtoZBlog. Hashtags seem to be working well in Twitter, so I'm tweeting all the blogs I visit. Barbara, I've tried visiting from the A to Z Blog, Facebook, Twitter, Google+, and reciprocating visits and had success with all methods. I think it will all work quite well. Interesting Arlee! Can't wait to use my time wisely reading your posts! This year I've started a table with the names and url's of the people I visit and what their theme is about. Hoping I can continue that to the end. So far I've just visited the main page three of my "regulars" and one new one. Left comments on all and we'll see how it goes! Janet, I think you're taking a wise approach by developing a system that will work for you. I think that will work far more productively than a blind list filled with uncertainties. You always have some interesting themes going on here. I also use others posts as inspiration and I'm forever writing notes about future posts or theme ideas. I hope that at some point during this challenge, there will be a mention of Chicago's "Does Anybody Really Know What Time It Is?" Thank you again from the bottom of my heart for starting this great Challenge. It is something that I look forward to each and every year. Mary, you're so welcome--it seems a lot of bloggers really enjoy doing A to Z.
I'm going to try to keep my posts about time interesting though I might be apt to delve into some philosophical pondering. Time has so many implications. So far I haven't incorporated the Chicago song into any posts, but then I've only just started writing them. All ready, Arlee. And excited! Jacqui, today I can see the excitement brewing among bloggers. 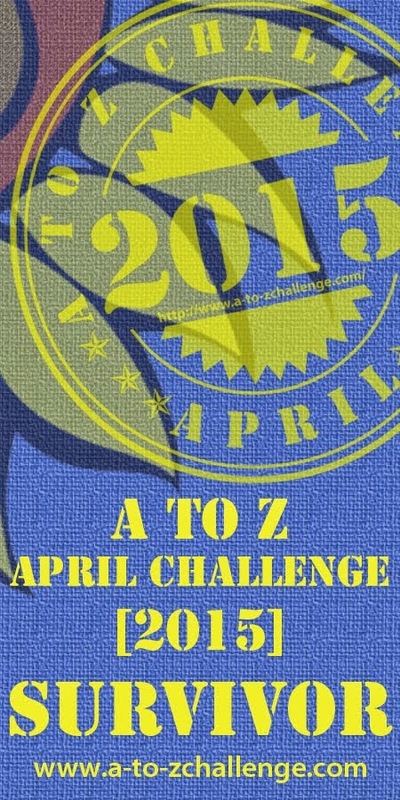 It sounds like you've come up with a challenging... and interesting... theme for this year's A-Z. Matter of fact, it sounds like you're set for many more years to come. Once again, I'll be taking the month off from the Blogosphere to focus on my book. The one time I participated in the Challenge, I had a lot of fun and met a lot of terrific people, so maybe one of these years, I won't be working on a book and will jump back into the A-Z waters again. Good luck with it. Have fun! Susan FS, we'll miss your posts during April, but hope you'll stop by now and then to see what's happening. Your book is important to you though. I'm starting to amass so many thematic ideas that I could do a few A to Z's per year and not run out of ideas for a few years. What an interesting theme. I'm looking forward to your posts. Deborah, I hope it will be as interesting to others as it is to me. I absolutely LOVE your theme, Lee! I will be following along with great interest - maybe I'll find out how to gain more time for things...heh!! I look forward to reading throughout the month of April! Stacy, hope my posts don't cause you to take up too much of your time thinking about them. I've been pondering the time topic for a while now. Well, to some degree, all my life. Eve, my theme of time could cover years, centuries, or eternity and actually it will. Val, if my theme were "Time" songs, I'd have a whole lot to chose from. As it is I will be throwing in a few time songs. Be a fun time to see how you spin time at a time each day in a timely manner. I'm timed out so it may be about time I stop. Pat, by the time I finish in April I will be up to my ears (and clock hands) in time related things. 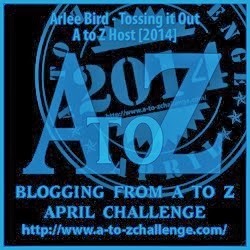 Thanks for A to Z, Arlee! Diedre, I hope you don't waste your time reading my posts. I'll be attempting to keep them short. That's a really unique theme! The male name for my C day on my secondary blog is Chronos, the Greek god of time, and one of the 15 primordial deities. There aren't any real myths associated with him, though; it's more about who he was, what he personified, and who his descendants were. Carrie-Anne, I've liked the title of "Chronos" for a long time. In fact in one of my yet to be completed novels I use "Chronos" as part of a company name. I'm trying to sign up for the challenge. A bit late to the party this year. Where do I go? 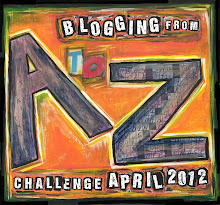 Stephanie, check The A to Z Challenge Blog for complete information. There's a link at the top of the sidebar that you can click for an explanation. Bottom line is that there is no sign up list this year. We are trying a new approach as an experiment. It might not sound good at first--a few people don't like it at all--but judging from today's response I think most bloggers get it and are adapting well. Check out the info and if you have any other problems feel free to ask. 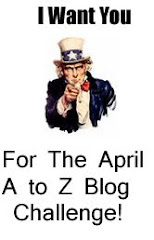 Do watch the A to Z Blog for helpful hints and info. Well, that for sure is a very unique theme. And I hear you! Time is our tyrant. Sarah, time can be many things, tyrant among them. Hope I'll be inspiring, or at least thought-provoking. CW, yes, and now to "Search for Tomorrow" or that is April 1st when the fun begins. Time is an endless topic. Good choice. Rae, just the kind of topic to keep inspiration flowing. I could never run out of ideas for posts. Looking forward to seeing what you write about time. I do a lot of family history research and writing and sometimes feel that I am time jumping. It would be so handy if I could go back and ask those questions I didn't ask people the first time around. This is my 5th A to Z. I am finding people to visit via the Theme Reveal comments, in the comments people leave on my page and comments on other people's pages. I save blogs I am interested in on my feedly A to Z list so they will be handy for future visiting. Kristin, it would be so cool to actually have a time machine, but at least we have research resources and that helps. Good plan to use the Feedly list. A personally customized list is better than the huge list where you don't know exactly what you're going to get. Karnika, April is just ahead! Lee, You've chosen another fantastic theme! Best of luck in April and I'll always be grateful for the wonderful A to Z memories! Julie, Time is a theme that really started weighing on my mind, especially after the last BOTB post. Thanks! And you're always welcomed to be a part of A to Z again! 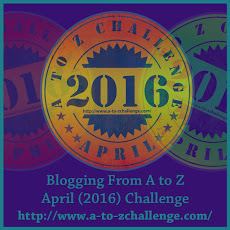 Looking forward to it all Arlee - time itself is a challenge let alone the A-Z blog challenge! Susan S, if your theme is aging and mine is time we'd be working on closely related topics. I'm returning your visit and practising adding a link (I don't think I did it properly on the A to Z blog.) I'll definitely be reading your posts this year, Lee. Sue (t), your link worked well. Thanks for visiting back. Looking forward to it, Arlee. This is one of my favorite themes of the year. Shalini, your themes will be making my mouth water and my gypsy soul longing for travel. Sounds like an inspirational topic. I look forward to your posts! Jean, maybe inspirational, maybe informational, or maybe confounding at times. Good luck and have fun with your theme this year! HR, thanks! Hope it's fun or maybe even somewhat mind-tapping and insightful. Roma, the time theme has certainly been making my mind churn out ideas. Stephanie, time always complicates life. Never enough of it. Time sounds like a versatile theme, a good one to pick. Do you remember some 60s show with some song "It's about time, it's about space..." Now that will niggle my brain for a while! I won't participate this year, but I will wonder around. Susan K, I sure do remember that 60's time travel show It's About Time--I watched it faithfully. There are so many directions one can take with the time theme. Hoping to have time to read your timely time comments next month. My life is full of timing issues and I'm retired - time running down? Enogh of that. I want to thank you, Arlee, for A to Z, and admit that at the end of each Challenge I start scribbling down ideas for the next year with lists of all the letters seeing if they are workable. By March, I'm still struggling with K, X, Y, Z and this year E, F, I, J and U. But I have those at last. Phew, just in Time. Roland, stop by as you have time. I can relate to being retired with issues of timing. Hope we're not running down quite yet and have miles to go before we sleep for good. 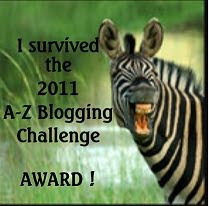 I'm just happy to see how A to Z has brought so much enjoyment to so many bloggers. I'm just starting on my "new" topic so it's like I'm starting all over again. Hi, Arlee - I've been doing this since 2012, and thought I could understand this year's format, but I just can't find the post you reveal your theme on, at the website - could you post a link? This year I'm doing Extraordinary Women. Liz, in a few hours from as I write this another explanatory post will go up at A to Z Blog. Hope that one sheds further light that might help you. Basically though it's a matter of blogging like you normally do but adding some extra effort in visiting other blogs. And it's not a bad thing if you are networking with non-a to z participant blogs. Actually I think that's a good thing. This is a deeply philosophical theme that I'm looking forward to reading specially as it will be in your own inimitable style that I really enjoy. I don't know if you've ever been to India but there's a completely different attitude to time here. We even have a name for it - IST - Indian stretchable time and mostly people don't mean 8 when they say 8 but more like 8:20. Which doesn't always work because in cities or at your job or school 8 means 8. Figuring out whether it's time or IST is quite a job. I'm sure there are other places in the world with this problem. Kalpanaa, I plan to be more philosophical and contemplative that anything else. I've never been to India but I think I get what you're saying. I'm the kind of person who likes to be on time in whatever I do. I'd rather be early than late and I'd prefer others to be the same. I hate waiting on anything. Philisophy eh? Excellent (and pleasingly unusual) choice. Roll on April 1st! Debs, I guess I'd call it kind of like philosophy at times, but I often have a tendency toward philosophizing. Craps...I thought I left a note here:) I am looking forward to your posts and I can't help but think of dementia because, no matter which kind of dementia a person has, time is the first thing to be affected. They don't know if it is day or night or even what month it is. They may think you just visited them or they may feel you have no been there in over a month when you just saw them the day before. In the same moment, they live in that moment because they don't think of the future and the past is disappearing. Birgit, your description sounds scary, but it is accurate. And I guess we don't know if this condition will hit us our not. My mother stayed fairly lucid until she died at 85. My father didn't make it past 67 so we'll never know about him, but his side of the family has no dementia that I know of. Hope I'm okay. Hope I live for many more years to come. But before I go off at a tangent, this is a topic for another blog post, which supports your comment about topic ideas coming from other blogger posts/comments. Like you, I have ideas in my A to Z blogging queue, which actually exist as a word document, which I update from time to time. I eventually settled on this year's theme, In Darkness Be Light, as a direct result of the negative vibes experienced on social media, and in conjunction with the planned monthly We Are The World Blogfest, the opening shindig launching on 31 March. Time? Brainstorming can lead to interesting thoughts. I'm typing these thoughts as they come to mind. behind the times...ahead of time. call it a night...call it a day. ...that ship has long sailed. Michelle, you've offered some great ideas! A few are topics I'm actually planning on using or have considered. You're so right that ideas are everywhere. That's probably why some of my posts tend to get so long. Arlee, this topic sounds quite interesting. And how did you get into my head without me knowing??? I dither and create ideas and lists and then meander around in the messy pile until I finally commit. I always have more ideas than I need for the Challenge. I already have my 2018 folder started. LOL I look forward to popping in to see what happens "as time goes by." Angelica, we are among those ridden with ideas I guess. I feel fortunate in the respect of abundance, but there never seems to be enough time to do everything I'm thinking up. slf, I guess I always had some interest in Alice in Wonderland, but I wouldn't say very obsessively so. Eva, it's a pretty straightforward topic--we all deal with time everyday. All being well Lee, My theme will be Rhhthm and Rhyme. A song and a verse. I hope I can sustain the month ....but will try. Yvonne, hope you can manage through April since you've been doing A to Z every year so far. I like your theme idea. What an interesting topic! One of the main reasons I decided to attempt this challenge again was because I want to up my time management skills, as strange as it may seem (or probably not). The last time I participated was probably two years ago, and I left it midway because I couldn't keep pace. Was it laziness on my part? Or a creative block in my head? Or because I didn't plan my posts well? It could be a combination of all them. Anyway I'm rambling.. I look forward to learning something new from your blog this April. Good luck and cheers! Anjali - https://akprowling.wordpress.com/2017/03/25/blogging-from-a-z-challenge-theme-release/ - A-Z of my favourite things! Anjali, not keeping up can be due to any number of things or a combination thereof. You've got to commit to finishing and then push yourself. In a Challenge like this I'll even succumb to submitting a few shoddy posts on schedule in order to finish what I've set out to do. I don't encourage shoddy posts, but sometimes anything can be better than nothing at all. Planning ahead definitely helps, even if it's merely starting a post idea even if only a single word. A start should provide some impetus to finishing. An interesting theme (and I'll reveal mine on Monday). Speaking of time, have you read Longitude? Sage, have not even heard of Longitude. Have a great April. This is a good idea for a theme and I love the story of how it came to be. I'm slowly working my way up the Theme Reveal list (from bottom to top because I figure the people at the top will be getting the most attention). My favourite themes are usually the personal ones and the ones about books. Cait, I also enjoy the personal stories and reflections of life. Reading those types of accounts can tell so much about someone we've never met. Time is fascinating. Great idea for a theme. Looking forward to reading your posts. Patricia, I agree that time is fascinating. I wish I had more of it. Time is something we all want more of and are always looking to optimise! Great theme! Hoping to connect more during April A-Z. Aditi, time is our most precious resource. Time, I've always had a difficult relationship with time. Time either moves too slow or too fast for me. Never at the speed I want it to. Looking forward to your posts! Amelia, I think I used to feel that way, but these days it's all too fast. Oh I bet that'll be interesting. I'm a bit on the other side of theme picking. Once one pops into my head...that's it. lol I picked mine back in October and was like yup lets do this! 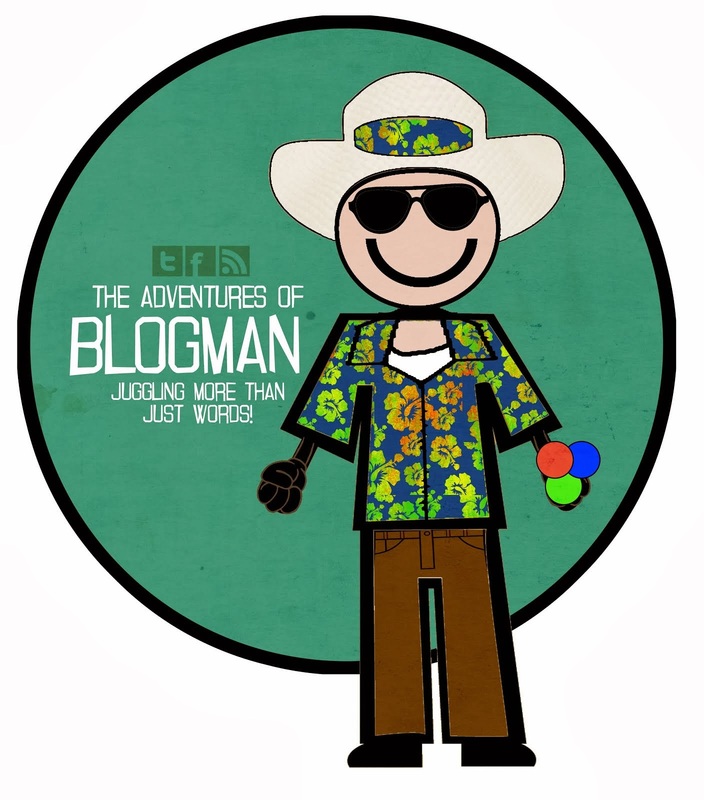 :D Happy blogging this coming month! Anna, I should probably stick with one thing and start like in May after a Challenge ends. But my mind keeps churning out ideas and I often like the newer ideas better than the older ones. Jak, time tells all, but we don't always listen. Time is sure going to rush past this month, with all the blog hopping! I have realized that we tend to understand the importance of time more as we grow older. I can think of several things I feel it's about time I did. Looking forward to your posts on this theme. I have already posted the first in my series, being ahead of you in time zones. "Time" again, see! Chicky, a lifetime is limited and since we don't know what the limit is ahead of time we never know for sure how much time is left.